The UK remains myopic about the opportunities and challenges of the urbanisation of the planet. We may fret about the lack of affordable housing in London, or get agitated about barn conversions in the Cotswolds, or the latest ministerial pronouncement, but the big picture eludes us and our governments. Vision and passion long since gave way to a pragmatic acceptance that the role of the planning system is to deliver on performance targets, and in so doing provide a speedy and benign regulation of the developments which are changing our cities and regions. Our rulers reportedly scour the world in search of trade deals and new markets, but seem unaware that urban development is a sure growth sector for the foreseeable future. The basic facts are hardly secret. As Prince Charles said in his video address to the 9th World Urban Forum, the world’s urban population is expected to almost double over the next 40 years. The fact that Charles was invited to give this address betokens the residual regard in which the UK is held in parts of the world, so why not capitalise on that? 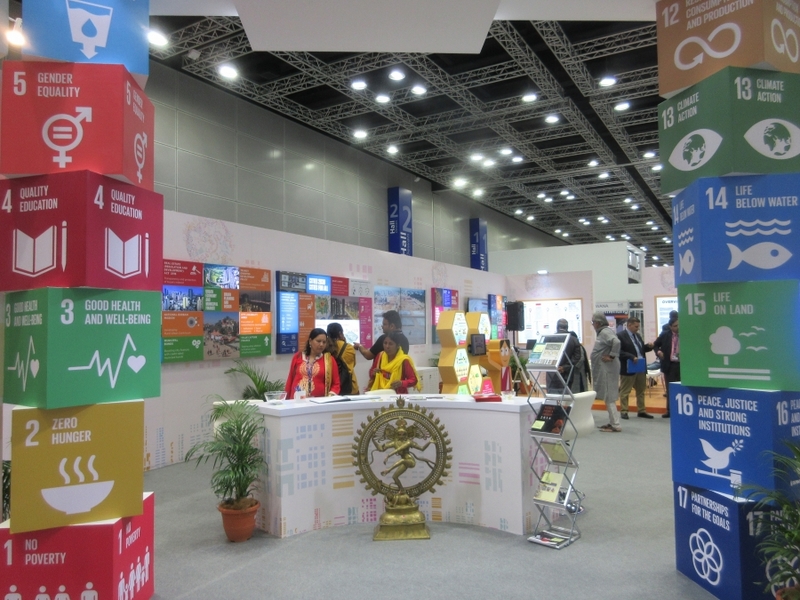 Alongside the Forum, convened by UN-Habitat in Kuala Lumpur ths month (February 2018), there was a large exhibition at which countries and universities promoted to a global audience their achievements and capabilities in urban and territorial development. Germany had a huge stand which ran a continuous series of talks by experts on how to make urban growth more sustainable. It was next to the equally grand French stand, just along from the big one from India. China was there too, of course, and so were many other rapidly growing economies such as South Korea, Indonesia, and of course the host country and its array of booming “Smart Cities”. There were universities from Netherlands and the USA promoting their courses and applied research capacity. There was nothing at all on show from the UK, though RTPI and The Princes’s Foundation featured in events in the WUF programme. With a bit of imagination, the UK could have put together a promotional display that featured a multi-faceted engagement with urban development. It could have included projects supported by DFID, such as the work on infrastructure and economic development (), along with something from the British Council giving information about opportunities to study an array of built and natural environment courses in UK. The research councils could have been showcasing research they are funding such as the seven country, 14 city project led by Glasgow University on “Neighbourhoods, Welfare and Well-being”. The Scottish National Planning Framework provides an example of how to approach the difficult task of setting a national level spatial strategy without getting bogged down in the detail, something that many countries struggle with. There could be something on post-conflict planning and development in Northern Ireland, a theme that sadly has wide resonance across the world today. How about a bold presentation of the role of mayors in leading the development of England’s major cities? The work of British Expertise Internatiomal could have been presented. If all this sounds unimaginable to anyone inside the Westminster / Whitehall bubble, then perhaps the UK’s world-leading expertise in promoting an escalation in property prices in your capital city, creating deep social divisions within that city and between it and poorer regions could have been brashly presented, with the invitation to find a safehouse for your wealth in the City of London. The task of putting on the promotion could have been outsourced to any number of willing providers for a moderately extravagant fee. Maybe there were just not enough high net wealth individuals likely to show up at an event about implementing the New Urban Agenda to make this pitch worthwhile, or to attract a flicker of interest from the UK. You can see my other blogs from the WUF elsewhere on my website. They cover what the WUF is about; Smart Cities; Urban expansion, public space and heritage; and what's new about the New Urban Agenda.